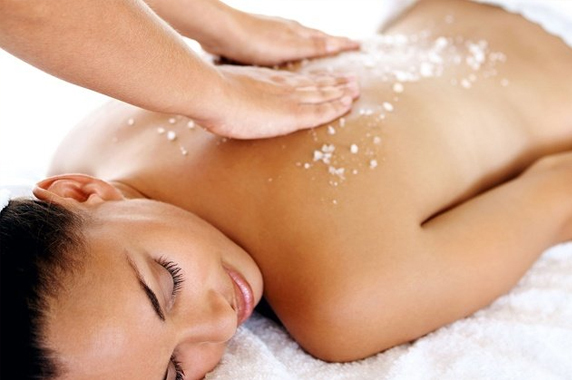 Our Mango Body Scrub is capable of stimulating energy and vitality. The skin, being thoroughly cleaned, becomes satiny, even more tonic in quality, and suddenly renewed. Why a manicure with collagen? With the beginning of spring, the hands needs to regenerate. We suggest for your hands you the application of the collagen mask. Specific treatment with collagen mask that helps you to eliminate all the stress. lt’s a relaxing massage that entails involving all the senses, especially body and psyche. Leaving the body softer and smoother than using any other oil. through a manipulation with wooden barrels, a massage with bamboo that stimulates the subcutaneous tissue in a deep way, to eliminate toxins and metabolic waste, reactivate the circulation and the presence of oxygen, for curing of imperfections such as water retention, stretch marks and cellulite. your skin feeling cool and refreshed. A final silk emulsion restore your skin’s deep luminosity.